What are Winamp's minimum system requirements? Are Windows 8, 7 & Vista all supported? How do I upgrade from an old version to the latest? Do I need to uninstall first? How do I associate file types with Winamp? For Windows XP/Vista/7: From the Options menu, select Preferences (or Ctrl+P using the keyboard). Select "File Types" under General Preferences. Select the desired file types you wish to associate with Winamp. Note that on Vista/Win7 you will need to either say "yes" to any UAC prompt or run Winamp in admin mode for the changes to take effect. For Windows 8, you will need to make your file associations via the Default Programs Control Panel instead. Winamp keeps making itself the default player! How do I stop this from happening? If you overlooked the Setup page during installation where it asks what file types to associate with Winamp and whether to maintain them, go to the above-mentioned Preferences page, deselect the relevant extensions and, if checkmarked, uncheck "Restore file associations on Winamp start". Does Winamp support unicode filenames and tags? Yes, it does. Unicode support was implemented between versions 5.2x and 5.3x. Always make sure you are using the very latest version. See this in-depth tutorial for further information. Can I play my purchased music from services such as the new Napster, MusicMatch, MusicNow, Walmart, or Amazon with Winamp? 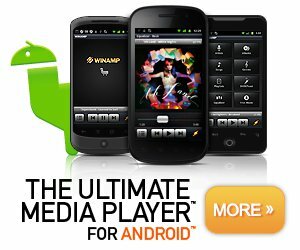 Does Winamp support DRM-protected music and videos downloaded from iTMS? No. There is no support for proprietary drm-protected M4P, M4B or M4V files. We do support playback of non-drm M4A, MP4, M4V & F4V formats. Does Winamp 5 support QuickTime or Real Audio/Video? How do I open the Winamp Preferences? Select the Preferences item within the Options menu or use the CTRL+P keyboard shortcut. What MP3 Decoder and Encoder does Winamp 5 use? Are they both high quality? Winamp uses a high quality Fraunhofer IIS-based MP3 Decoder for playback. The MP3 Encoder used for ripping and transcoding is based on LAME (current version 3.99). How do I manually edit/update the album art images displayed in Winamp? The easiest method is to manually place the album art image in the same folder as the music files. You can also manually edit the album art for individual songs via the Artwork tab in "View File Info (Alt+3)". Note that Winamp looks for embedded art first (ie. an image stored in the actual file tags). At its core Winamp is all about individuality and customization, that's why we offer add-ons to extend functionality beyond the original design. Thanks to the efforts of our loyal development community, Winamp offers over 6,000 add-ons including skins, plug-ins, visualizations & online services. Winamp supports interchangeable user interfaces called "skins". Most skins are created by users like you. Users may publish their skins on Winamp.com. Check some out. Skinning is the term we use to describe the act of creating a skin. You can learn to create skins using our online documentation located in the development section of the site. What's the difference between Modern and Classic Skins? Winamp supports two skin standards, Modern and Classic. Modern skins are skins that adhere to the Winamp 3 skin model. Modern skins offer authors a tremendous amount of flexibility by allowing authors to change the player's shape, size, layout, and function. Classic skins are skins that adhere to the Winamp 2 style model. Classic skins are easier to create but do not allow the author to change the form or function of the player. Classic authors may only replace a standard set of images that alter the player's visual appearance. Do Winamp 2 and 3 skins still work in Winamp 5? Yes, Winamp 5 fully supports both Winamp 2 and 3 skins natively. Does Winamp 5 still support color themes? Select the desired color theme and press the "Switch" button, or simply double-click the theme to apply it. Plug-ins are software extensions made by software developers to enhance Winamp player functionality. Like skins, plug-ins are published on Winamp.com from our developers for general users to use and enjoy. Through the use of plug-ins, Winamp may be extended to support new audio or video formats, extend the capabilities of the Winamp Library, render new types of audio visualizations, etc. You may download plug-ins from Winamp.com by navigating to the "Plug-ins" tab or going to plug-ins. Will my Winamp 2 plug-ins and Winamp3 components work in Winamp 5? Winamp 5 currently only supports the Winamp 2 plug-ins. Will Winamp 2 Language Packs or Winamp3 Locales work in Winamp 5? No, unfortunately Winamp 5 requires the use of the latest Language Pack SDK to support internationalizing the player. The Winamp Modern skin integrates the Visualizer and Video directly into the main window. Is there a way to separate them? Yes, the Visualizer and Video window may be detached by pressing the "Detach Visualizer" or "Detach Video" buttons from within the "Video/Visualizer" drawer. To reattach the Visualizer or Video window, press the "Reattach Visualizer" or "Reattach Video" buttons located in the bottom right hand corner of the respective windows. Note: You cannot detach any components or windows in the Bento skin, because Bento is a SingleUI skin (Single User Interface) and is designed to have all components integrated in one window. How do I open the Media Library now? The lightning bolt doesn't work any more. When using the Winamp Modern skin, press the ML (Media Library) button located to the right of the PL (Playlist Editor) button If you prefer using the Winamp Classic skin, to re-enable the Lightning Bolt shortcut, go to the "Media Library" view of the Winamp Preferences (CTRL+P) and check "Main Window lightning bolt opens Library instead of About Box". Why do my Modern skins have jagged edges around the window border? Winamp supports a feature called Desktop Alpha Blending which allows skin authors to create skins that have smooth window edges. This feature requires high-end video hardware to ensure that the player remains fast and responsive. This feature is disabled by default. You may enable this preference from the Winamp Preferences by checking the "Enable Desktop Alpha Blending (when requested by skin)" option located within "Alpha Blending" tab under the "Modern Skins" view. Does Winamp support Surround Sound in 4.1 or 5.1 outputs? 5.1 Surround is supported through analog playback only. Currently DTS/AC3 Digital SPDIF out is only 2 channel (We're planning on supporting it in the future). What about my precious B4S playlists? B4S playlists are supported! Be sure to use version 5.3 or newer. What happened to the Jump feature from Winamp 2? I always put all my music and videos in the same place, is there any way to configure Winamp to periodically check for any new media and automatically add it into my Library? Absolutely. Winamp supports a feature called "Watch Folders". Using this feature, you can specify folders you wish Winamp to scan for new media. To access this feature, open the Winamp Preferences (CTRL+P) and select the "Watch Folders" tab within the "Local Media" view under the "Media Library" section. You may configure Winamp to periodically rescan these folders and automatically add any new media found to your Media Library. By default, auto rescanning is disabled. You may initiate a rescan of your folders by selecting the "Rescan Watch Folders" item within in the "Library" button menu located on the bottom left hand corner of your Media Library. Can I convert my music files from one format to another using Winamp 5? Yes. Winamp 5 comes with a Transcoding Tool for converting between MP3, M4A/AAC, WMA (non-DRM), OGG, FLAC and WAV formats (MP3 Encoding is available in Winamp Pro only). To use the Transcoder, right click the file(s) in the Media Library or Playlist window and select “Send To > Format Converter”. Can I manage my portable music devices & players with Winamp 5? Yes. Winamp 5 seamlessly integrates support for iPod (Shuffle, Mini, Video, Nano (1-4G only, not 5th/6th gen) & Classic models, but currently NOT newer Touch, iPhone or iPad models); Creative Nomad/Zen/MuVo; PlaysForSure (P4S & MTP); Generic USB thumbdrives & players; Android smartphones/tablets (USB & Wi-Fi modes); and ActiveSync Device management. Note that Winamp does NOT support Zune or Windows Phone 8. Visualizers or Visualization Plugins are dynamic add-ons that produce images, colors, and textures that change based elements of the music being played. Winamp offers two primary visualization plugins ( AVS & MilkDrop) allowing you to create different presets. If you’re feeling invincible, you can even attempt to create your own visualization plugin or you can say platform. There are many visualization plugins available which users have generated. How do I make a Visualization or Preset? How do I use Winamp Online services? The magic all happens in Winamp. When you install the latest version of Winamp (Download Now) you'll instantly get access to some of our Featured Services, including SHOUTcast Radio, OurStage Radio, and Spinner MP3 of the Day. If you want to explore the full roster of available Online Services, click on "Online Services" in the Winamp Media Library and you'll be in the Online Services Gallery. The Gallery is constantly updated with new Online Services, so check it often. This is where the fun comes in. We've launched a developer program to allow you, your friends, family, or your favorite company to develop their own Online Service for Winamp. Got a great idea? Want to try it out with the millions of Winamp users? Get started now. Check out the Online Services Developer Network for all the details. Got a great idea for an online service? Put your idea up on our wishlist. What do I get when I purchase a copy of Winamp Pro? MP3 Encoding — With Winamp Pro, you can rip all your favorite music CDs into the industry leading MP3 format. When all your songs are encoded in MP3, it provides you the freedom to play them in all MP3 capable hardware and software media players. MPEG-4 video support — With Winamp Pro, you can play all of your MP4, M4V, AVI, MKV, NSV & FLV videos with MPEG-4 video content (h.264/avc, mp4v2, Xvid, DivX4/5, etc) without needing to install any extra codecs. You support continued development of Winamp! Is it a one-off payment? How do I get updates? Yes, you only need to purchase a Winamp Pro license once and then all future v5.x upgrades are free. The latest version is always available on the main download page via the "Already own Pro and need to upgrade" link, and with no login required. No. Winamp Pro for Windows PC and Winamp For Android Pro require separate purchases. Where do I enter the registration key? How do I register my copy of Winamp Pro? For first time installations of the Pro installer, you will be presented with a registration screen at the end of the installation process and before Winamp opens. Winamp > Prefs (Ctrl+P) > Winamp Pro. Enter your exact Registration Name (the one you used on the registration form) in the top field. Copy+paste the exact Registration Key into the bottom field. If typing manually (not recommended), be sure to include the 3 hyphens, and note that there are no letter O's in any of our keys, they are always 0's (zeroes). Say 'Yes' to any UAC prompt, if enabled (Windows 7 or Vista). It will now say 'Valid Registration Key' and the Pro features will be unlocked. try running Winamp in admin mode instead (right-click the Winamp desktop shortcut and select "Run as administrator"). Note, if you already have the latest free version installed, you can enter the Pro key in the same way as above to unlock the Pro features. Can I burn MP3/Data/ISO CDs with Winamp Pro? No. You can currently only burn Audio CDs with Winamp (Free or Pro versions). Data CD burning is hopefully planned for a future Winamp 5.x release. I registered Winamp when it was shareware circa 1999. Can I use my old serial number to unlock Winamp Pro? No. That same version of Winamp is now freeware (and has been since mid-1999). Winamp Pro (first released in Dec 2003) requires you to re-register in order to unlock the Pro features. I've registered Winamp Pro but I lost my registration information! What do I do? For help retrieving your lost registration information, please read our Customer Service FAQ. Click here to access the Customer Service FAQ. Also see the Forum FAQ for further info. Can I distribute the Winamp player? Yes, you can distribute the free version of Winamp on your website or cd-rom. For all distribution requests, fill out our distribution agreement form. Experiencing a problem not covered by this FAQ? A comprehensive list of other minor Common Issues can be found on the Winamp Forums. Please be sure to read the Forum FAQ before posting in the technical support areas of the forum.